Enterprise Rent-A-Car's Plus Your Points promotion. Courtesy of Enterprise. 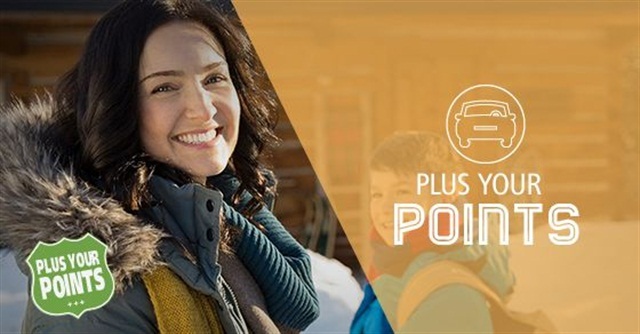 Enterprise Rent-A-Car has launched its annual Plus Your Points promotion for all Enterprise Plus loyalty members. Through Feb. 27, 2015, Enterprise Plus members who register for the promotion online can earn double points to redeem on free rentals, says the company. This year, Enterprise has added new bonus opportunities for participants to collect and redeem points. The additional chances include 75 points for rentals in Europe and 20 points for Facebook members who connect to the promotion via their personal Facebook pages. Like last year, customers will also receive 20 points for registering for the promotion and 20 points for sharing news about Plus Your Points on Twitter, according to the company. “Our annual Plus Your Points promotion always gets a tremendous response from customers, and this year, we wanted to reward participants with even more ways to earn free rental days,” said Jim Stoeppler, assistant vice president of Enterprise brand marketing. Signing up for Enterprise Plus is free and open to anyone at least 21 years old. For more information, visit plusyourpoints.enterprise.com.